A Steelton, Dauphin County,. man caused a minor uproar Tuesday because he erroneously thought a “12-foot python” was loose in the East End of the borough. The Steelton Borough Police Department issued a statement Tuesday afternoon saying police found reports of a python in the East End to be a “hoax” started online. A few minutes of internet sleuthing seems to track the rumors to a Facebook group called “East End, Steelton, Pennsylvania.” It doesn't seem like it was a hoax so much as a mix-up. The man said he was pet-sitting for a friend of his and wanted to show his daughter the snake. He said he couldn’t find it, and assumed it had escaped. He said he found it in some boxes in his van a little while later. He also apologized for mis-identifying the snake, saying it was a “ball python and not a burmese,” which is a pretty big deal. 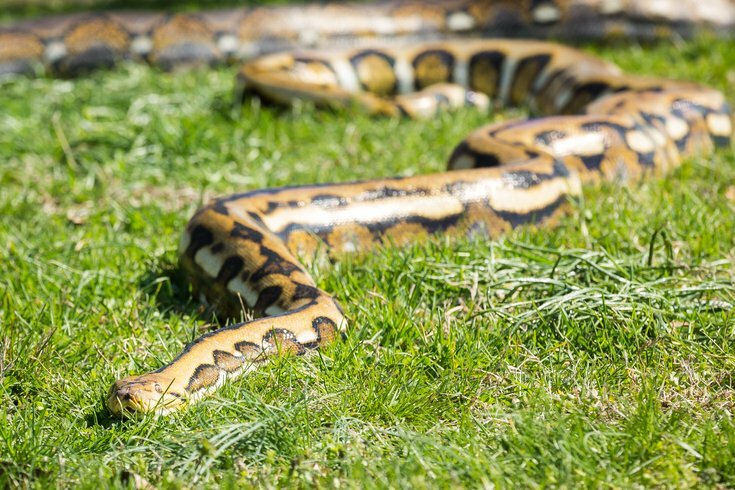 According to Animal Planet, ball pythons can reach lengths of six feet, while National Geographic says Burmese pythons can reach up to 23 feet. One Facebook commenter elsewhere on the page had this to say about the rumor's originator: "What a goof ball." Folks, it seems like it was all just a big mi-snake.